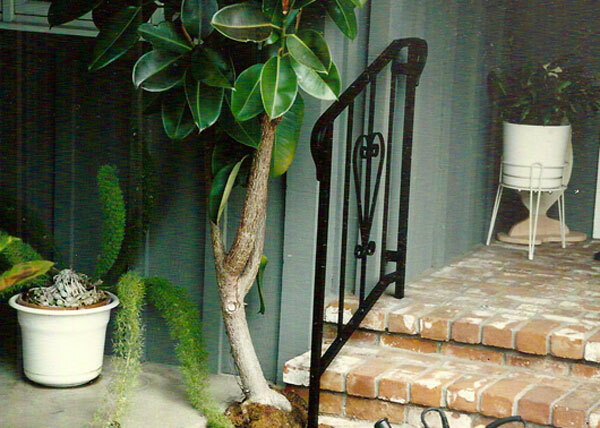 R1 This Spanish style wall mounted iron handrail in Old Town, CA was constructed using 2" cap rail. It adds an elegant look to this staircase. R2 We installed an iron pipe railing in San Diego, CA. 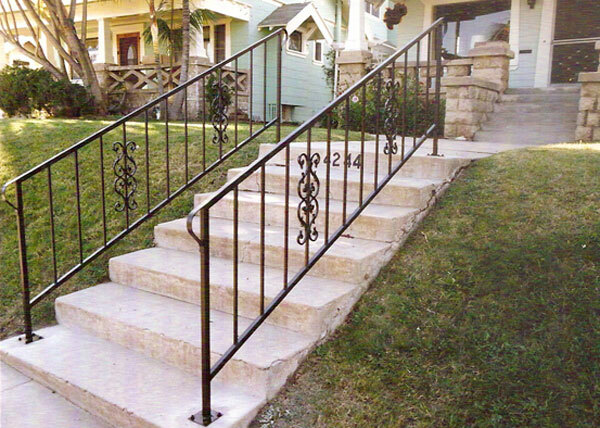 The iron ramp railing was made to conform to ADA requirements. R3 B.A. Ramirez installed this iron railing in Point Loma, CA. The guard rail features a standard rail with added an knuckle design. 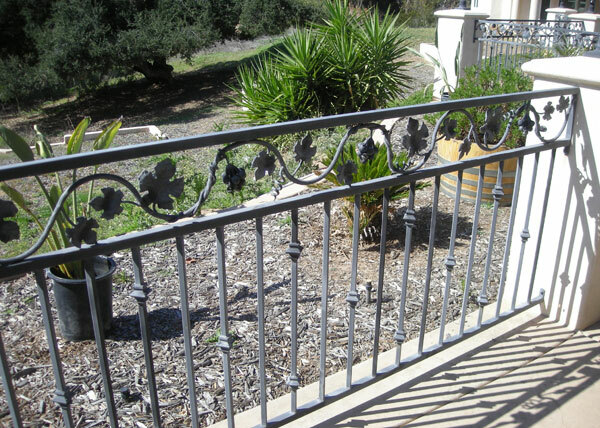 R4 This Mediterranean style iron railing in Point Loma, CA features alternating knuckle and basket designs on its pickets. R5 This iron pipe railing in San Diego, CA was manufactured for a church remodel. 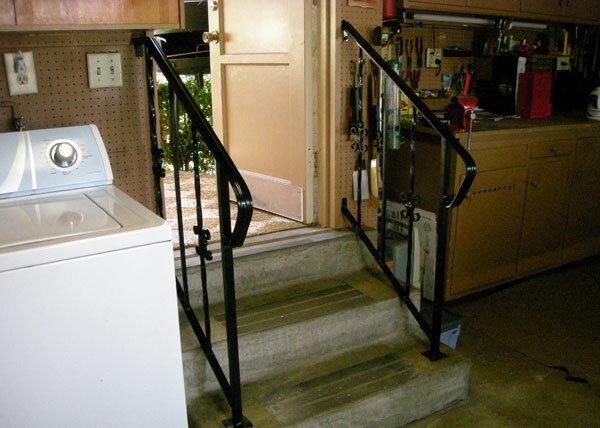 The 1.5" iron railing provides easy wheelchair access and is constructed to ADA code. 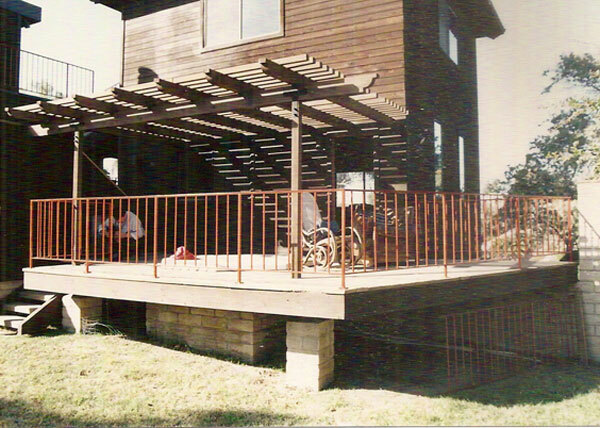 R6 Designed for a high use area, this modern pipe iron rail in East Lake, CA is made using 1.5" schedule 40 pipe. It has been "hot dip galvanized" prior to installation. 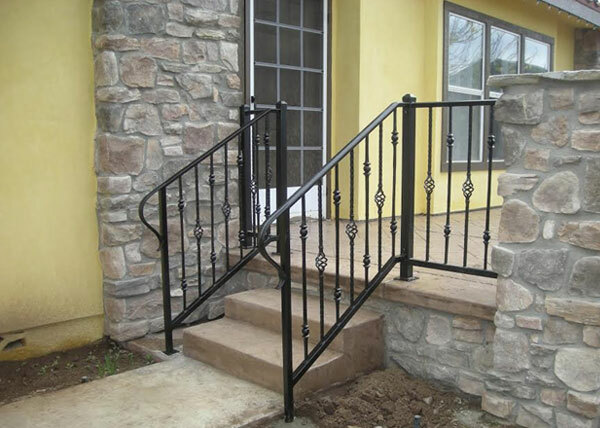 R7 This standard iron railing was installed in San Diego, CA. The rails pictured lead to an observation deck. This simple design is very neat and clean in appearance. R8 This Spanish style iron railing in Encinitas, CA was created using an ornate cap, hand forged scrolls under the cap and knuckle, and "S" scrolls placed throughout. R9 B.A. 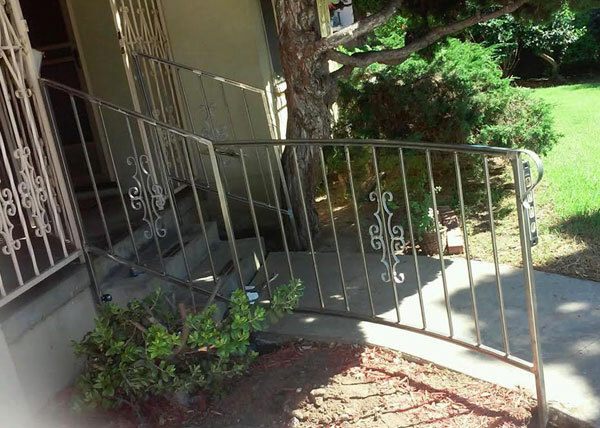 Ramirez & Sons installed this standard iron railing in San Diego, CA. The new residential railing installation gave this wooden stairway a finished look. 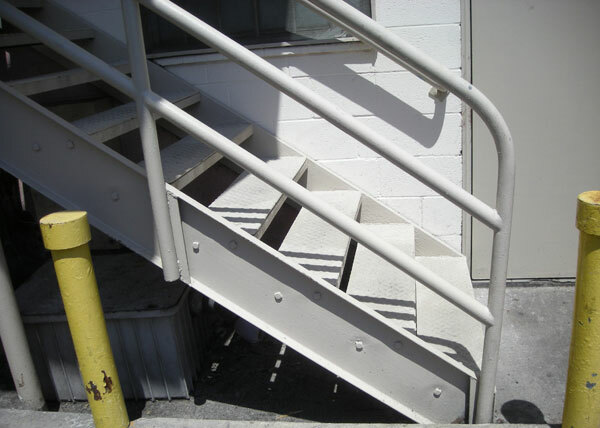 R11 This commercial iron railing installation in El Cajon, CA features an iron loading dock rail. 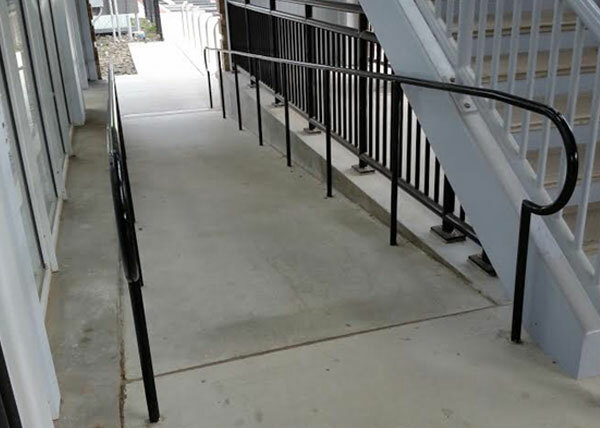 This short rail was designed to make access safe for employees. R12 During this commercial iron handrail installation in Oceanside, CA, B.A. Ramirez & Sons added a green pipe handrail to the existing rails of this wooden staircase. R13 B.A. 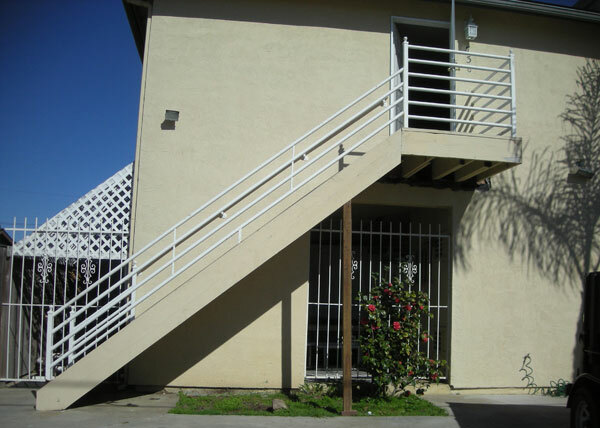 Ramirez & Sons installed a standard railing in San Diego, CA. The railing matches the wooden staircase perfectly, giving it a complete look. R14 This commercial iron handrail installation in Oceanside, CA brought the existing staircase railing up to code standards. The turns are smooth and all work was powder coat paint finished. 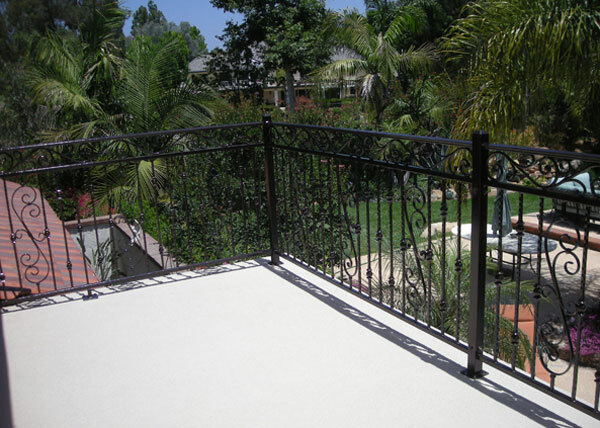 R15 This beautiful iron railing in Poway, CA added the final touch to this newly renovated backyard. The grape vine design incorporated in the top rail creates an ideal garden setting. 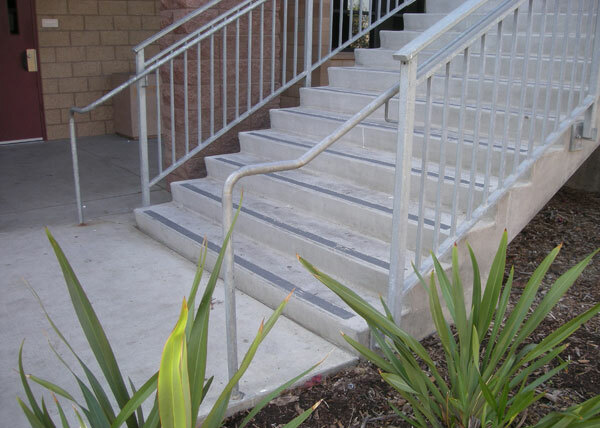 R16 These ADA compliant iron handrails in Chula Vista, CA were installed during a commercial handrail installation. 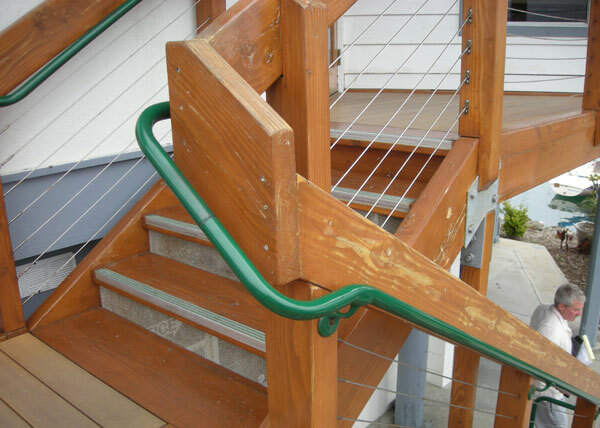 The pipe railing is easy to grip and allow for easy stair access. R17 B.A. 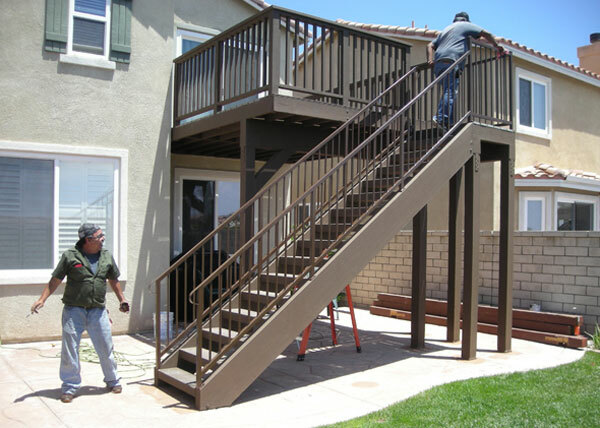 Ramirez & Sons installed a residential iron railing in Temecula, CA. This style of railing features hammered solid steel pickets with a continuous "knuckle and basket" design. R18 B.A. 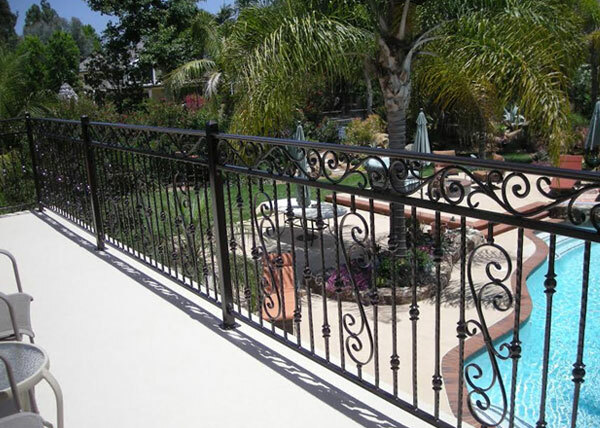 Ramirez & Sons installed this Mediterranean style iron railing in Temecula, CA. The beautiful iron handrail features an ornamental cap with hammered solid steel pickets, knuckles, and basket designs. 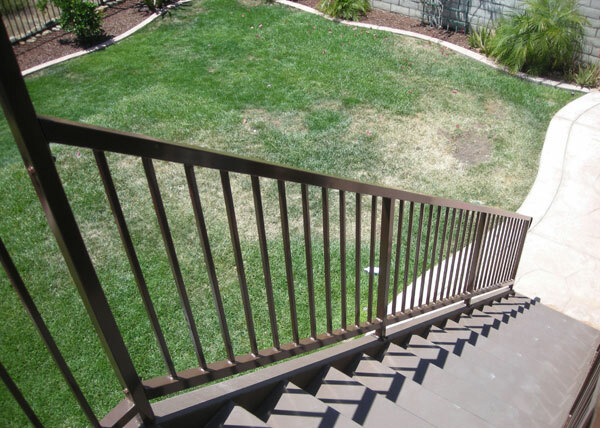 R19 We installed this modern pipe iron railing in City Heights, CA. This straight line schedule 40 pipe gives this apartment a modern appeal. It was the perfect addition to this 1980's apartment upgrade! R20 B.A. 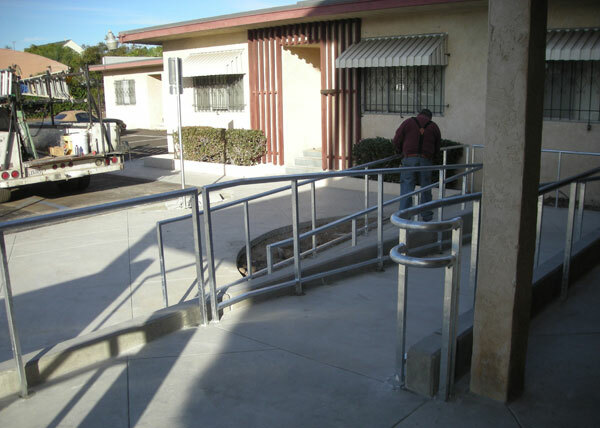 Ramirez & Sons completed a handrail installation in Old Town San Diego, CA. 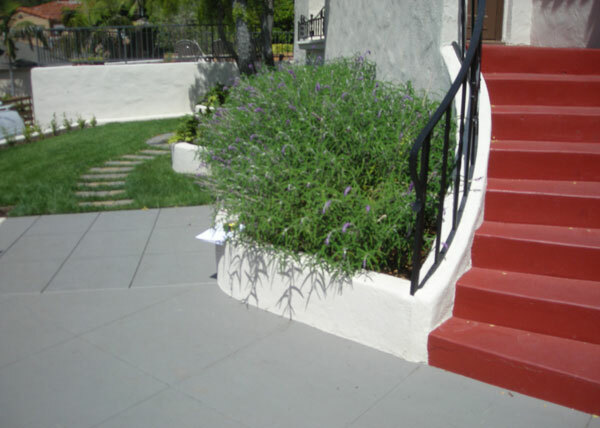 This 1 ½" top cap rail with a return was manufactured to complete the final phase of this landscaping project. 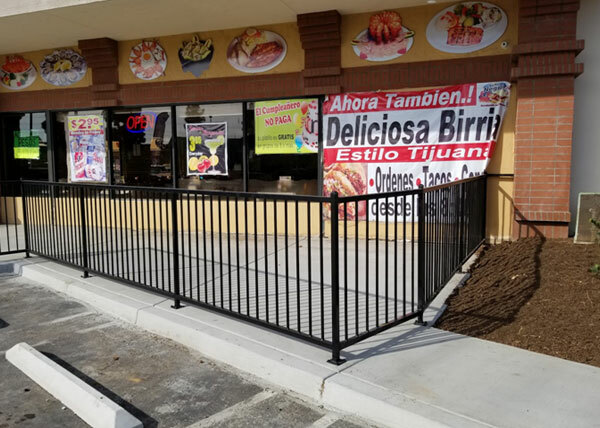 R21 We installed this commercial iron railing in La Mesa, CA. This simple railing style can be used in many applications. During this project, old wood rails were removed and replaced with our commercial quality standard iron railing. 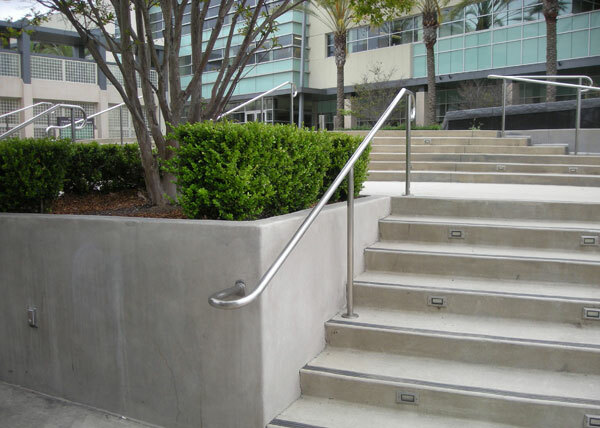 R22 This two sided custom Spanish handrail in Kensington, CA is constructed out of 1" tubing top and bottom. Four designs were placed on the ½" pickets and a decorative return was added for an easy grip to complete this two sided stair railing. 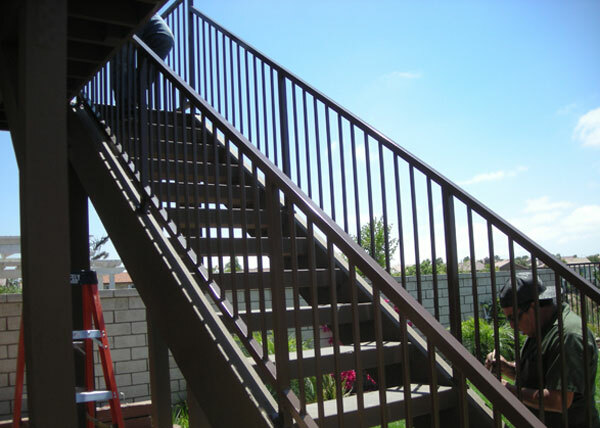 R23 This commercial pipe and square tube iron railing in Chula Vista, was built in a modern style. The combination of pipe with an inner square tube frame made a nice design for this commercial remodel. 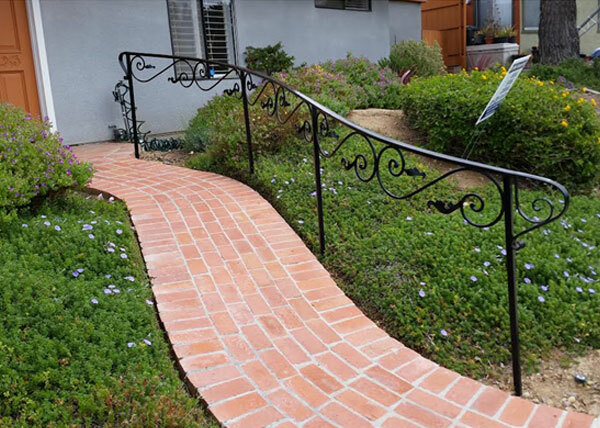 R24 This residential iron rail installation in Chula Vista, CA features a Spanish style cap rail with a 1" tube frame and ½" pickets. The simple design of the rails are perfect for this garage-to-home access area. 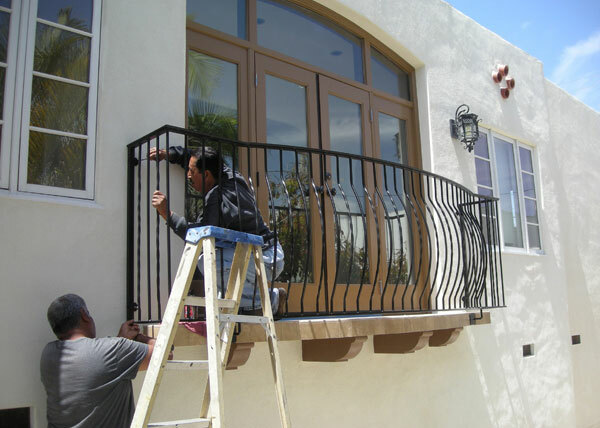 R25 During this residential iron railing installation in south San Diego, CA, we installed standard railing with 1.5" sq. tube framework with &frac58;" pickets. 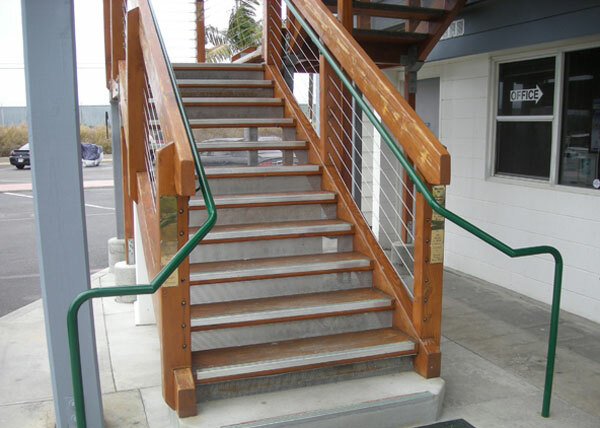 The clean look of these code compliant rails is commonly used on viewing deck access stairways. R26 The simple use of ornamental castings below the upper horizontal of this iron railing in El Cajon, CA makes for a simple and clean look. 1'½" tubing was used for the frame and &frac58;" square tube for the pickets make for a clean, desirable look. 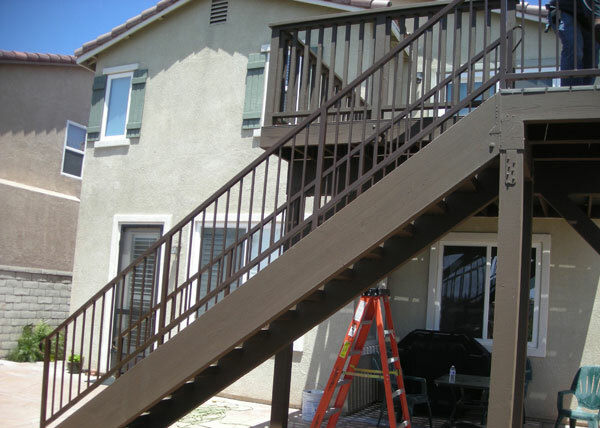 R27 BA Ramirez completed a residential railing installation in Chula Vista, CA. The guard rails are made using 1" square tube for the frame and and posts with 1/2 square tube for the pickets. Decorative castings are attached. The rails have not been painted and are being "fitted" prior to receiving a powder coat paint finish. R28 B.A. 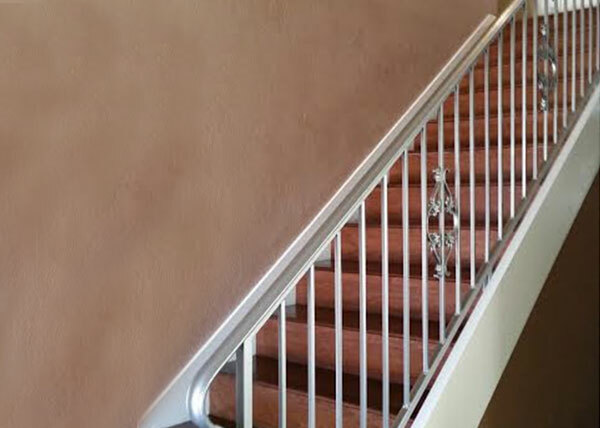 Ramirez & Sons completed a residential iron handrail installation in Lemon Grove, CA. The iron handrail features an old school heart scroll design which gives the railing a beautiful focal point. This one sided step up hand rail is constructed out of 1" top and bottom tubing and finished with a decorative 1" return at each end. It was the perfect addition to this new front brick porch. 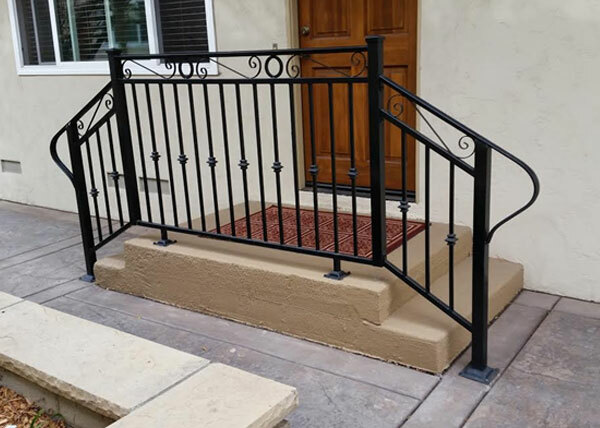 R29 This residential railing installed in Pacific Beach, CA features molded ornamental cap rail with hand forged "S" scrolls below the decorative cap. 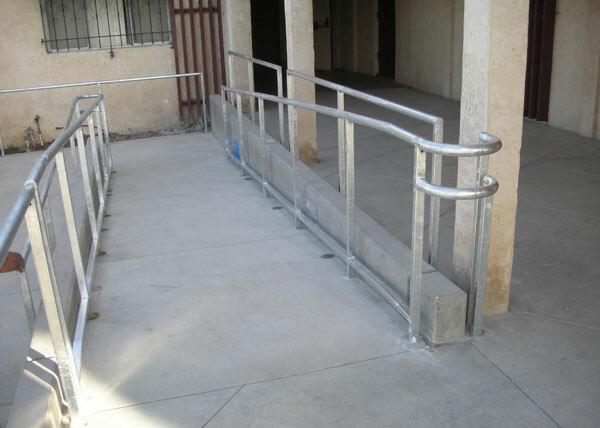 R30 This ADA approved railing was installed in San Diego, CA. 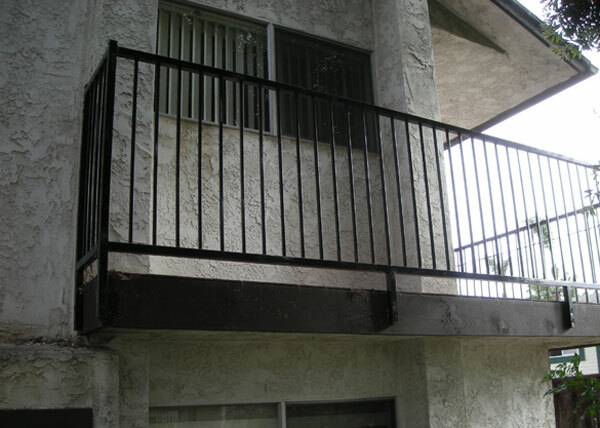 The railing is made out of 1.5" steel pipe and was installed at a commercial center in downtown San Diego. 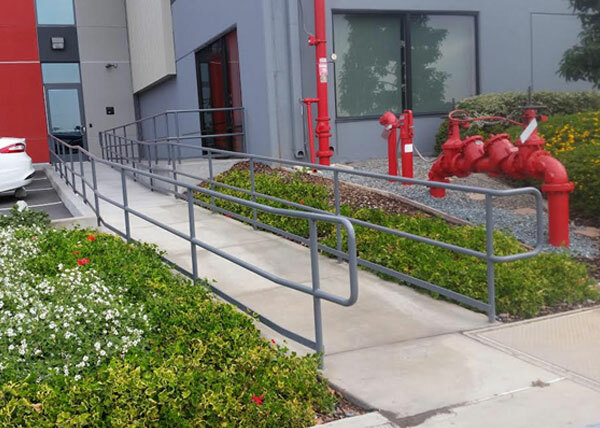 R31 BA Ramirez installed this ADA pipe railing in Chula Vista, CA. The commercial railing installation features a 1.5" pipe. 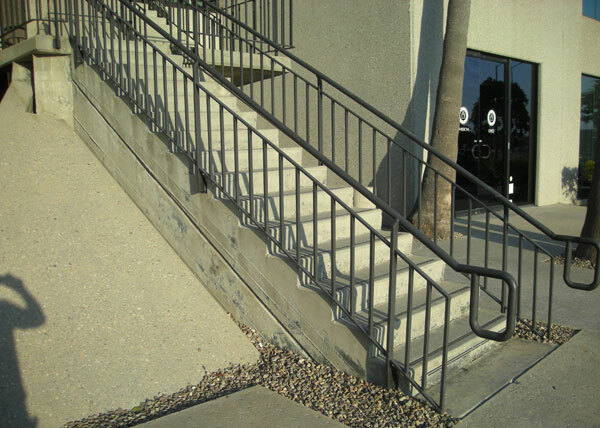 This is a common style of rail designed for ADA access. R32 This interior residential railing project in San Diego, CA was designed to create a nice and clean look. The custom metallic silver color was selected by our client to match the color of her walls. R33 This Spanish style stair railing in Alpine, CA, features square tube posts, tube rail caps, and pickets with knuckles. Hand forged scrolls below the upper horizontal offer a true spanish style rail. These rails have a glass powder coat paint finish. 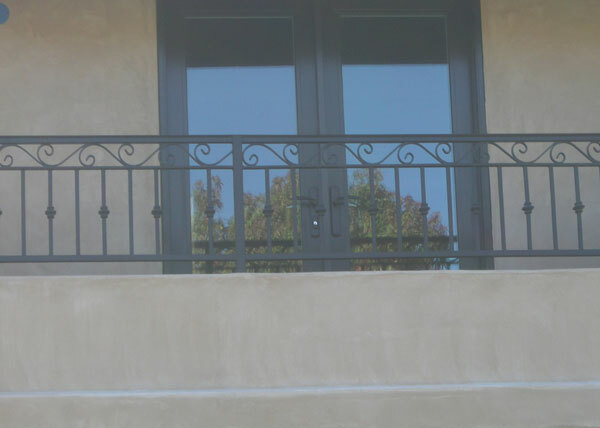 R34 We installed this Spanish style iron railing in Alpine, CA. The ornamental iron railing features a cap rail with and forged scrolls below the upper horizontal. Posts are 2" square tube and the pickets are ½" square tube with knuckle designs. 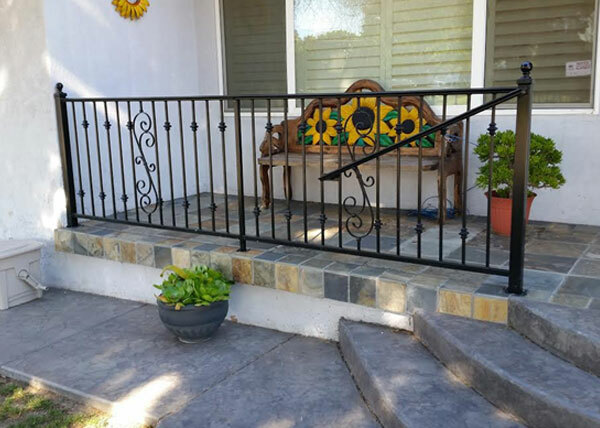 R35 BA Ramirez installed this hand forged railing in Pacific Beach, CA. The residential railing installation features a design provided by our client. Both ends of the pickets have a hand forged scroll and the ends of the pickets have hammered edges. 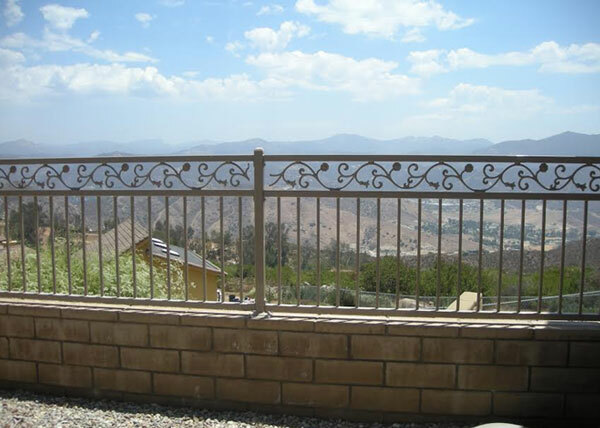 R36 This Spanish style residential railing installation in Chula Vista, CA features an ornamental cap rail with ½" pickets that have knuckles. The "S" scroll designs are hand forged. There is a decorative post cap with a ball on it. 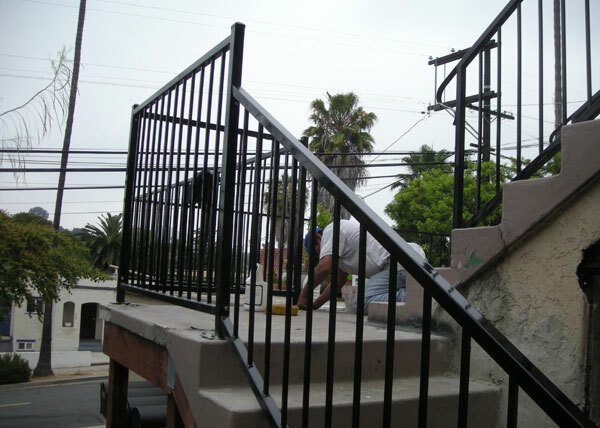 R37 We installed this steel railing in Pacific Beach, CA. 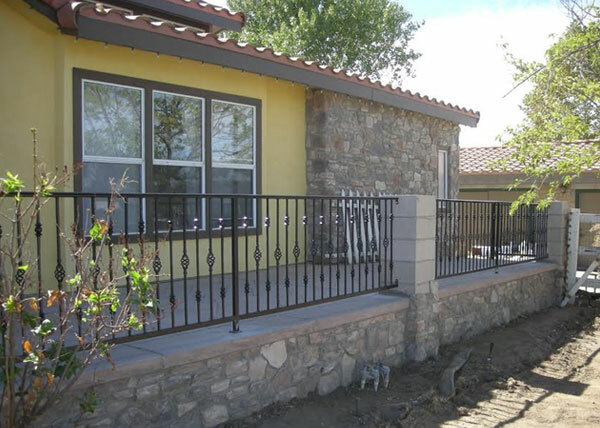 The California modern style railing was installed to replace an old rusty outdated railing with new code approved railing. The rails were hot dip galvanized then powder coat finished "gloss white". 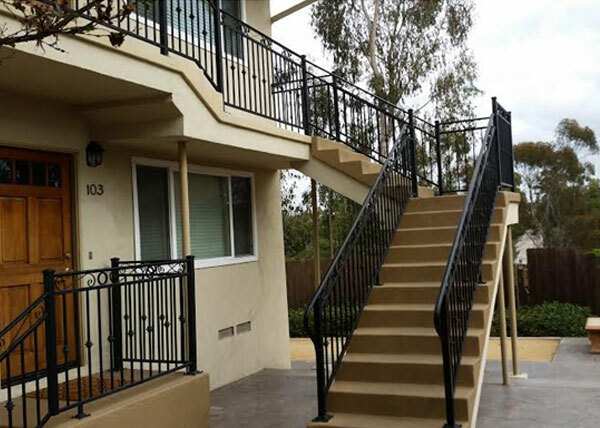 R38 We completed an iron railing installation in La Mesa, CA. This style of custom iron railing is most popular and commonly used on elevated balconies and decks for a non obstructed view. It was constructed out of half inch vertical pickets with a 1" channel and flat bar top cap rail. R39 B.A. 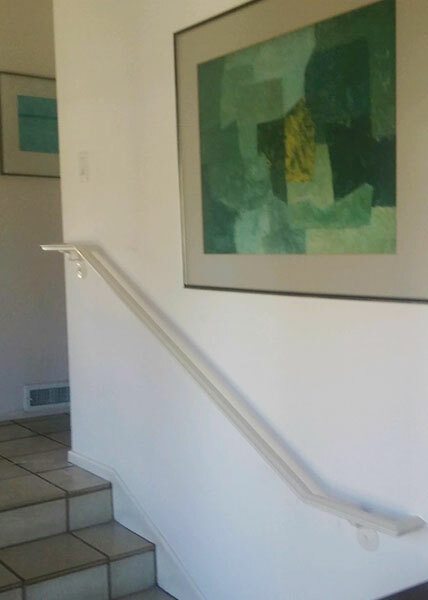 Ramirez & Sons fabricated and installed this interior wall mounted handrail for a home in La Jolla, CA. 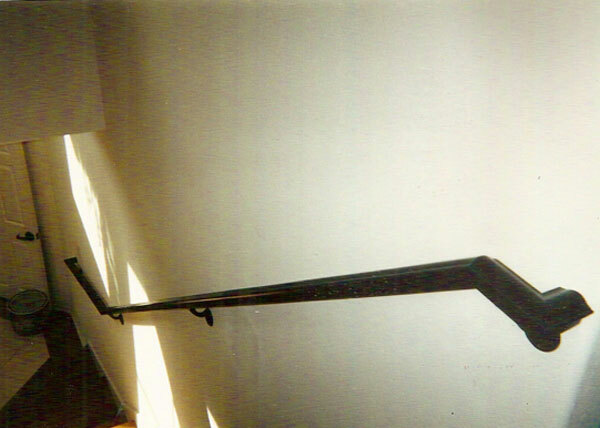 The handrail was made using an ornamental steel tube cap rail and mounted to the wall using decorative brackets. Before installation an Arizona white paint coat finish was applied. 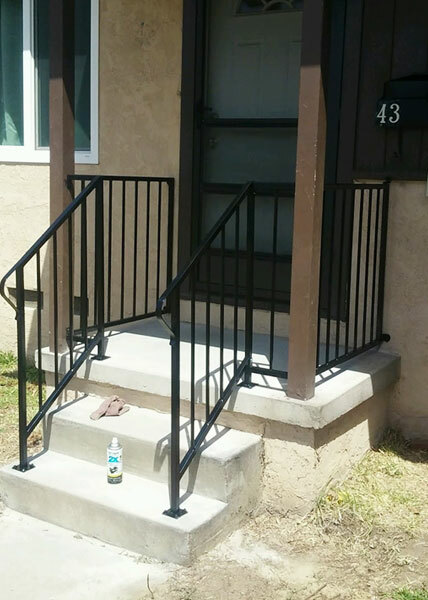 R40 We installed this simplistic porch railing for a home in Coronado, CA. The rail was built using a steel tube frame and allows the homeowner to safely walk up and down the steps to the front door, and meets UBC building code. A powder coat paint finish was applied prior to installation. 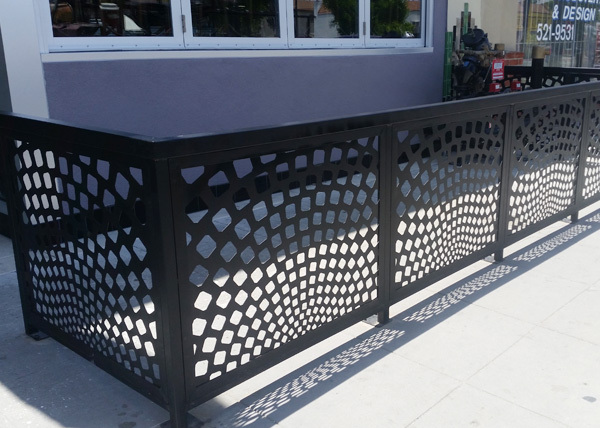 R42 Our experienced team completed this railing installation for a Chula Vista restaurant. We created the custom design using 1.5" steel tube for the frame and posts, heavy duty &frac58;" pickets, and a durable black powder coat paint finish. BR1 Installed for an apartment building in San Diego, this balcony rail was made with a 1.5" steel tube frame and ⅝" verticals. Prior to installation it was coated with zinc primer and a baked on powder coat paint finish. We built and installed this rail to meet California building code. 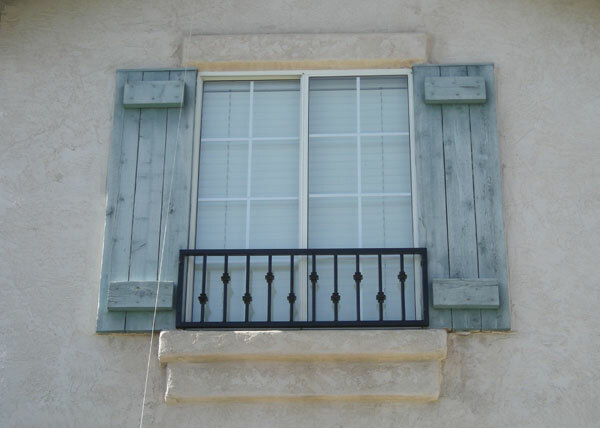 BR2 We installed this Mediterranean style balcony rail in Point Loma, CA. 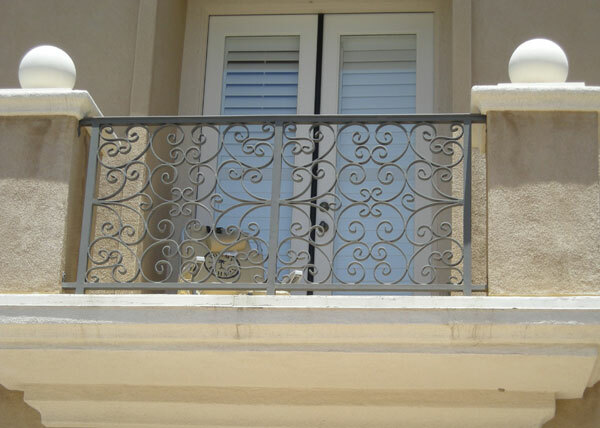 This balcony rail is made with an ornamental cap rail and hand forged curved balusters. After fabrication it was hot dip galvanized for rust protection and coated with a rust resistant epoxy marine finish. 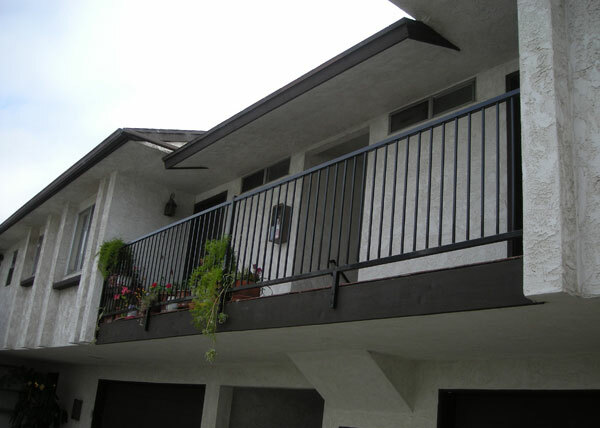 BR3 We built and installed this balcony railing in Encinitas, CA. The railing features an ornamental cap, hand forged designs under the cap, and verticals with decorative knuckles and S scrolls evenly place throughout. BR4 B.A. 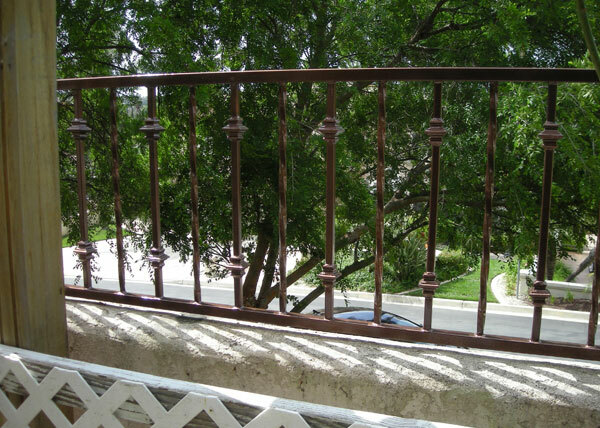 Ramirez & Sons installed this hand forged Spanish style balcony railing in La Jolla, CA. The designs were created using ¼" x ½" flat bars that were heated, hammered and formed providing an elegant look. 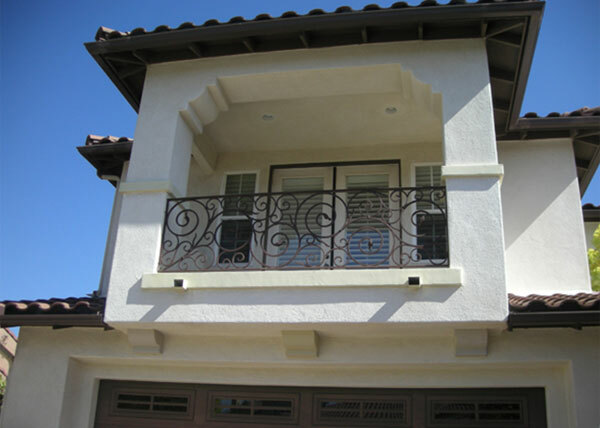 BR5 This Mediterranean style balcony guardrail was installed in Mira Mesa, CA. We made this guardrail using an ornamental cap, ½" square balusters with decorative knuckles, and S scrolls below the upper cap rail. We finished the rail with a zinc powder coat and a flat black finish. BR6 B.A. 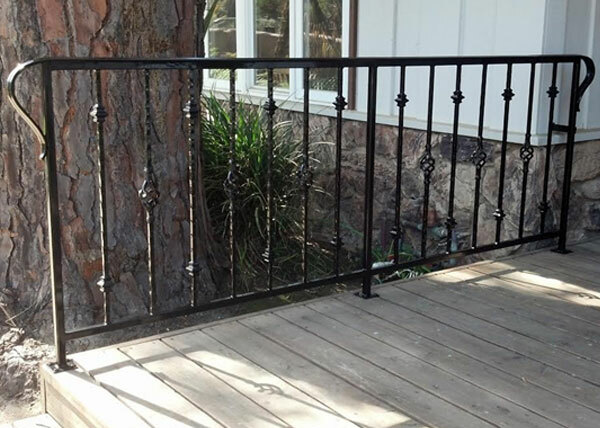 Ramirez & Sons made this decorative balcony rail for a home in Poway, CA. Below the molded cap rail are hand forged designs custom made by our craftsmen using ½" solid steel. 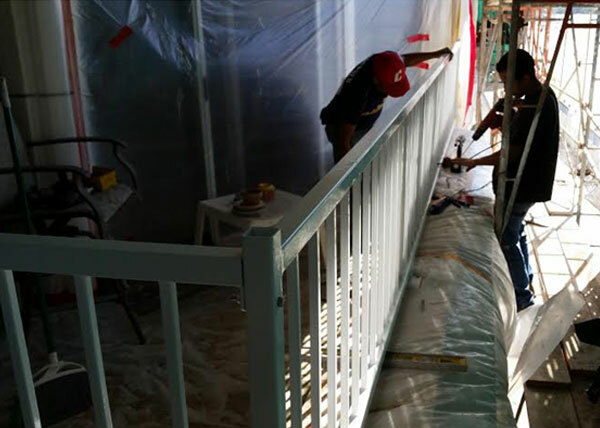 After fabrication the railing is powder coat paint finished and installed by our expert installation team. BR7 We made this small window guard rail for a home in Chula Vista using a 1.25" square tube frame and ½" verticals with decorative knuckles. The rail was requested by our client as a safety factor for their second story windows that sit close to the floor. 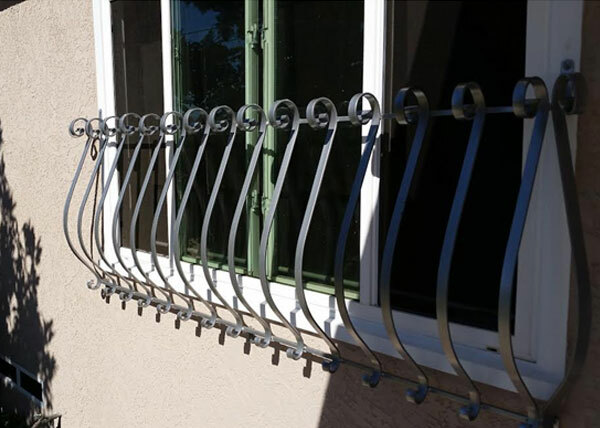 BR8 This custom made rail was installed in Carlsbad California. The unique design was water jet cut to create a modern pattern. The guard rail is coated with zinc primer and a powder coat finish.